Former Jammu and Kashmir chief minister Mehbooba Mufti Sunday said calling those who question the veracity of Balakot strikes 'anti-national' was baffling, but asked the opposition parties to not fall into the trap of changing the election discourse from pressing issues like unemployment and farmers distress. India conducted air strike at a Jaish-e-Mohammed terror camp in Balakot in Pakistan's Khyber Pakhtunkhwa province on February 26. The PDP president said allowing political discourse to be reduced to the Balakot strikes would only help the BJP electorally. "Calling those who question the veracity ofBalakot strikes anti-nationalis baffling. However, the opposition should not fall into this trap of changing the entire election discourse from pressing issues like demonetisation, GST, unemployment, farmers distress to these strikes, Mehbooba wrote on Twitter. She said the citizens of the country have every right to question the credibility of the Balakot operation especially due to the Government of India's ambiguity about the details. "How does it help the enemies? Only puts GoI (Government of India) in a tight spot since they want to exploit this to reap electoral benefits, she said, in response to Prime Minister Narendra Modi's remarks in Patna. Hitting out at opposition parties for questioning the recent air strike in Pakistan, Prime Minister Narendra Modi said on Sunday the armed forces were busy quelling terror, but the Congress and its allies are not convinced with their act of bravery. The statements made by the opposition parties after the preemptive air strike on terror camps have made only people of Pakistan happy, he claimed. "When the country needed to speak in one voice, 21 opposition parties gathered in Delhi to adopt a resolution condemning us. They are demanding proof from the armed forces for their act of bravery," the PM said at the BJP's Sankalp rally at Gandhi Maidan in Patna. Modi said "Now they have even started asking for proof of the #AirStrike. Why are Congress and its allies demoralizing our forces? Why are they giving statements which are benefiting our enemies? 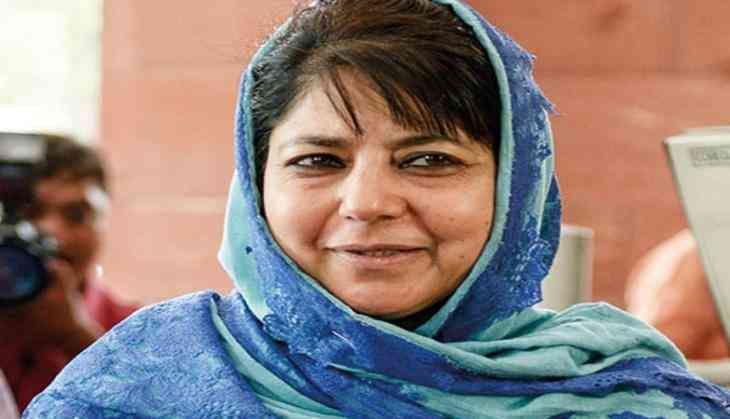 Mehbooba said "presently when war frenzy and jingoism in the guise of patriotism is at an all time high, allowing political discourse to be reduced to the Balakot strikes will only help BJP electorally. "Its no wonder that the Rafale deal, unemployment, poor eco growth are fading into oblivion (sic), the PDP chief added.